Reno’s Big Gamble: Image and Reputation in the Biggest Little City was published by the University of Kansas Press in 2008. Read an article about the book’s publication here. “Barber’s book is distinctly urban history, and should be read by anyone interested in how a city responds to external and internal demands….The ultimate strength of the book is Barber’s ability to make this examination a useful case study for other cities to consider, and for professionals to examine how the cities they are studying have created a sense of place.” – Brandi Burns, H-URBAN. When Pittsburgh socialite Laura Corey rolled into Reno, Nevada, in 1905 for a six-month stay, her goal was a divorce from the president of U.S. Steel. Her visit also provided a provocative glimpse into the city’s future. With its rugged landscape and rough-edged culture, Reno had little to offer early twentieth-century visitors besides the gambling and prostitution that had remained unregulated since Nevada’s silver-mining heyday. But the possibility of easy divorce attracted national media attention, East Coast notables, and Hollywood stars, and soon the “Reno Cure” was all the rage. Almost overnight, Reno was on the map. 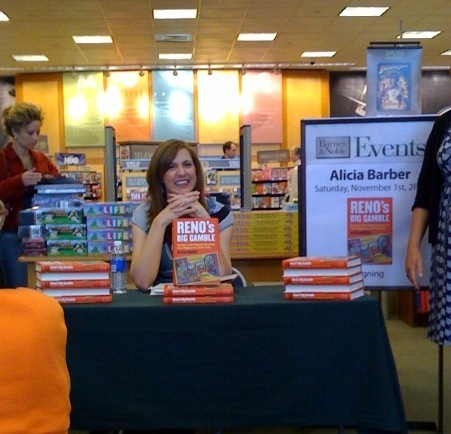 Alicia Barber traces the transformation of Reno’s reputation from backward railroad town to the nationally known “Sin Central”—as Garrison Keillor observed, a place where you could see things that you wouldn’t want to see in your own hometown. Chronicling the city’s changing fortunes from the days of the Comstock Lode, she describes how city leaders came to embrace an identity as “The Biggest Little City in the World” and transform their town into a lively tourist mecca. Focusing on the evolution of urban reputation, Barber carefully distinguishes between the image that a city’s promoters hope to manufacture and the impression that outsiders actually have. Interweaving aspects of urban identity, she shows how sense of place, promoted image, and civic reputation intermingled and influenced each other—and how they in turn shaped the urban environment. Quickie divorces notwithstanding, Reno’s primary growth engine was gambling; modern casinos came to dominate the downtown landscape. When mainstream America balked, Reno countered by advertising “tax freedom” and natural splendor to attract new residents. But by the mid-seventies, unchecked growth and competition from Las Vegas had initiated a downslide that persisted until a carefully crafted series of special events and the rise of recreational tourism began to attract new breeds of tourists. Barber’s engaging story portrays Reno as more than a second-string Las Vegas, having pioneered most of the attractions—gaming and prizefighting, divorces and weddings—that made the larger city famous. 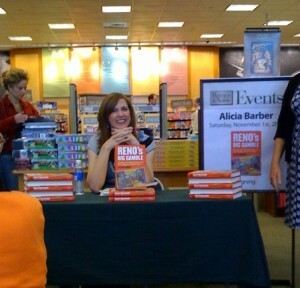 As Reno continues to remold itself to weather the shifting winds of tourism and growth, Barber’s book provides a cautionary tale for other cities hoping to ride the latest consumer trends.